The Subway store in Whittlesey has “temporarily” closed. The fast food chain revealed a week ago it was investigating allegations staff at its franchise store in Market Street are owed hundreds of pounds in wages. The store opened in March last year. The PT called earlier this month and asked to speak to the store manager about the allegations staff were owed money. The person declined to give her name. The PT then contacted Subway head office about the claims. A Subway spokesperson said: “We are investigating allegations around the payment of staff wages at the Whittlesey store and working with the franchise owner to ensure all outstanding employee payments are paid. 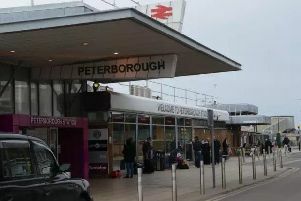 The Peterborough Telegraph has contacted the Subway head office about the note on the front door.